Salt Lake's Liberty Park Neighborhood is at once a go-to destination and a buffer zone between other, more high-profile neighborhoods. 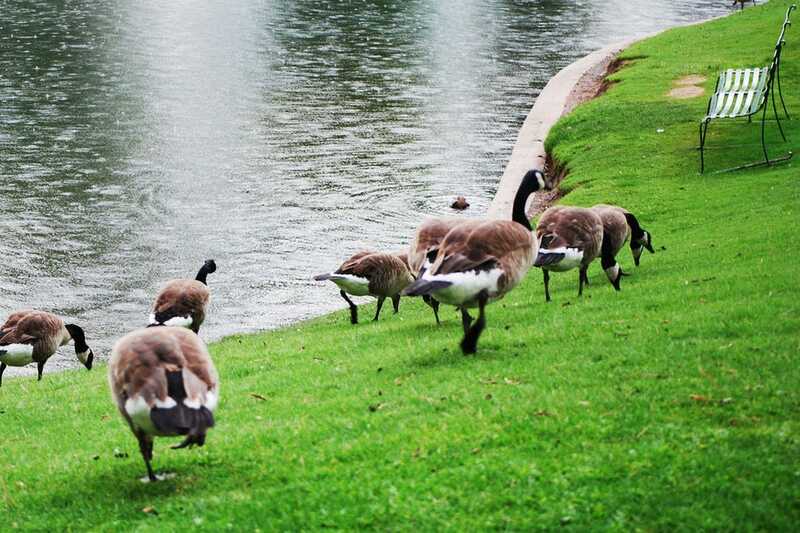 As a destination, Liberty Park itself contains more than 80 acres of green space filled with grass, trees, ponds, and paths – as well as an aviary and a museum. But if you're looking for hotels or shopping, you're likely driving south to Sugarhouse or north to Downtown. Liberty Park is a highly residential neighborhood, and all of the area's attractions are situated within the 80-acre Liberty Park itself. In addition to its grass, trees, ponds, tennis courts, and jogging paths, Liberty Park also contains the city's only dedicated aviary, the Tracy Aviary, and a Utah heritage museum, the Chase Home Museum of Utah Folk Art. In a city with dozens of Thai restaurants, it's hard to come out on top. Nevertheless, Channon Thai – situated just north of Liberty Park – consistently wins the hearts of the public for its delicate, flavorful, and deeply aromatic food. If you're not into Thai, head northeast to Ruby River for a classic, affordable American steakhouse experience. While the park itself doesn't actually have any nightlife, it stands quite near one of Salt Lake City's best bar-slash-restaurants, The Bayou. Combining the best elements of a pub and Cajun eatery, The Bayou is at once upscale and casual. Offering live jazz music many nights of the week, a regular and late-night menu, billiards, a full bar and more than 200 beer selections, The Bayou is comfortably one of Salt Lake's most popular hangs.